I wrote a long time ago about how I used the Hola extension to watch foreign TV. Well, that was a nice idea, but the security actually wasn’t so great. Ironically, the whole selling point of VPNs is that they allow you greater privacy and security. So I stopped using Hola, but I really (REALLY) missed Gogglebox. My solution? I shelled out for a paid VPN. There are all kinds of reasons to get a VPN, from wanting more privacy to wanting to watch Canadian Netflix. 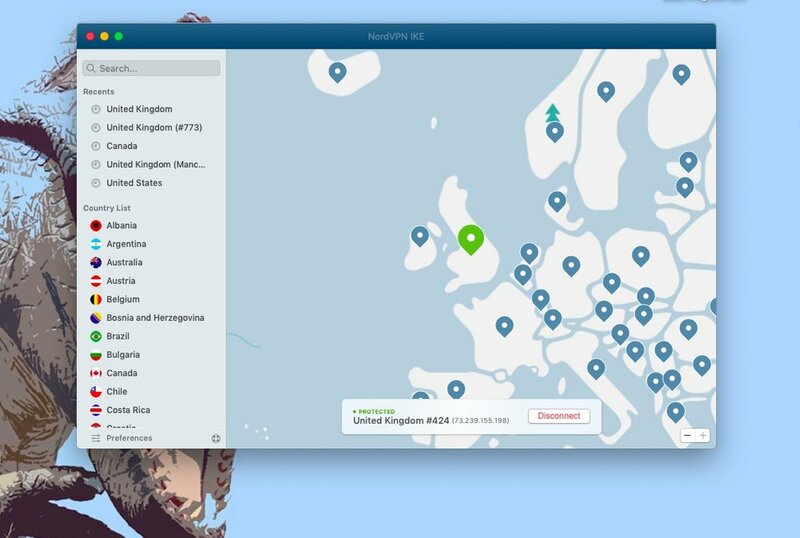 To be honest, I couldn’t tell you why NordVPN is good. I Googled “best VPN” and compared reviews, then chose the one that gave me the most for the best price. I don’t use my VPN app every time I access the internet, but I do use it quite a lot. I bought a three year subscription for $100, and I think that’s a great price for how much I use it and what I use it for. If you wish you could have an invisibility cloak for your internet goings-on, then get yourself a VPN and get your whole life. Aug 22 Stop Holding Your iPad - Take a Stand!